Chances are, you’re probably not wearing a dedicated heart monitor capable of measuring abnormal heart rhythms. If you have an Apple Watch, you just might be. Apple Inc. is partnering with researchers at Stanford Hospital and Boston-based telemedicine vendor American Well to launch a new study into whether the Apple Watch can accurately detect irregular heartbeats, which can be a precursor to strokes, CNBC reports, citing two unnamed sources. 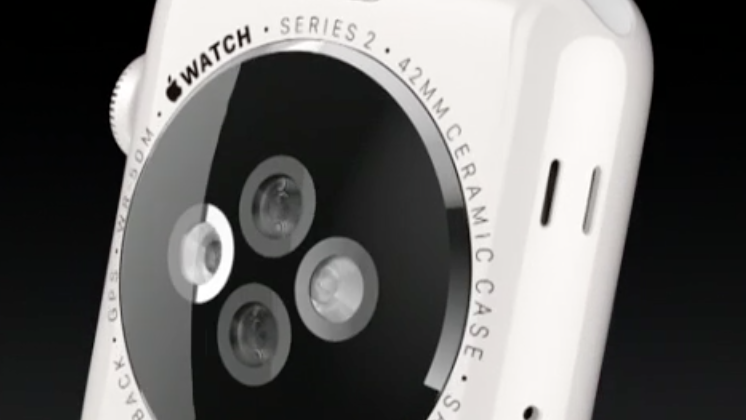 The back of the Apple Watch Series 2, shown here in a new ceramic case. Earlier this year, San Francisco-based startup Cardiogram gathered 139 million heart rate measurements from 6,158 Apple Watch users and found they were able to detect irregular heartbeats with 97 percent accuracy. Apple has a vested interest in turning the Apple Watch from a nice-to-have fitness gadget into a must-have health monitoring wearable. On an earnings call in August, Cook said Apple Watch sales had grown 50 percent year-over-year, but declined to provide specific numbers. The company is also reportedly pursuing the “holy grail” of life sciences— a noninvasive blood-sugar monitor to help those suffering from diabetes. Apple reportedly has hired at least 30 biomedical engineers to work on the glucose monitoring task. In June, Apple hired Sumbul Desai, the executive director of Stanford Medicine’s center for digital health, to help lead the company’s Health division. Part of Desai’s work at Stanford centered around the Apple Watch and how its sensors could be used to detect specific health conditions. Apple and health insurer Aetna have also reportedly held secret meetings in an effort to bring the Apple Watch to Aetna’s more than 23 million customers, an initiative that could launch next year. Such a partnership would be another way for Apple to make its Watch a “must own” for consumers.